I am totally on board with the velvet trend, including velvet shoes. There’s something so elegant about this look and I love how all of the new styles out there make it so easy to incorporate this texture into your every day look (see how I wore a velvet dress that was identical to one I wore in the fifth grade). 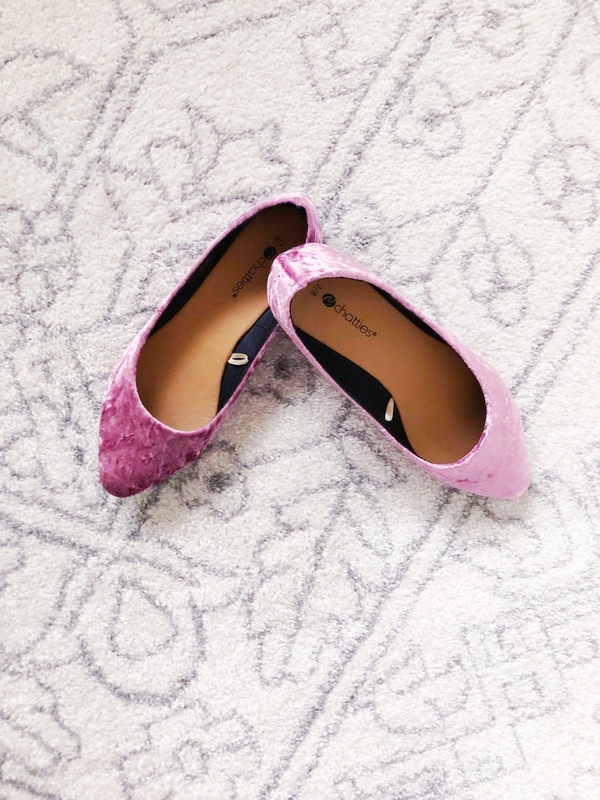 I picked up a pair of pink velvet flats from the Village Discount Outlet for about $6 from their new goods section (these are products that are not used). They have proven to be so easy to style, I’ve already worn them to the office and on the weekend with jeans. Check out some of my favorite styles around the web below.